Last year we published an article on the new star rating for child car seats. In this article we quoted important research undertaken by Neuroscience Research Australia (NeuRA). ITC has since been contacted by NeuRA and asked if we could help find some parents to be or parents, in the market for a new car seat, and who would be interested in assisting them with their research study. The information below was provided by Neuroscience Research Australia. Who is Neuroscience Research Australia? The child car seat study is a research study looking for ways to increase the proper use of child care seats. We are interested in the use of information sources about the correct use of child car seats. We are hoping that the study will help reduce the level of incorrect use of child seats and thereby reduce the risk of injury to children in the event of a crash. What Car Seats Are They Studying? Live within a 2-hour drive of Sydney’s CBD? Do you have a current driver’s license? Are you a parent or other primary carer of a child who will use the new car seat? 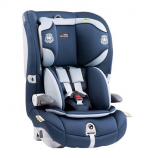 Are you interested in purchasing one of the above car seats (through our study)? If you answered yes to the above we’d love you to take part in our study. If you agree to participate, you will purchase the car seat online through a secure encrypted external commercial payment website (E-way). The prices of the two car seats match the lowest available online prices, for the respective seats, at the commencement of the study. After we have been notified of your payment, NeuRA will have the car seat delivered to you, along with some additional study materials, within 5 days. Your payment details will not be made available to NeuRA or any party other than the payment website. The study materials that you will receive with your child car seat are additional to what is normally included with the manufacturer’s instructions. They are compiled by experts in child safety. There is an optional component where we install a small in-vehicle camera for 24-hours to capture information about how the car seat is used over time. You don’t have to take part in this step if you do not wish to. That’s it! After the home visit, we will notify EWay, and they will refund $100 to the account or credit card you used to purchase the car seat. You should exercise your own independent skill or judgement in deciding to be part of this survey. In the Cove does not accept any legal liability or responsibility for any injury, loss or damage incurred by the use of, or reliance on, or interpretation of, the information provided to any person who participates in this survey or purchases a product as a participant of this survey.